Victoria manages a portfolio of projects and activities alongside her primary role where she is responsible for the joint planning, co-ordination and execution of the award winning International Conference of Undergraduate Research (ICUR) supported by the Monash-Warwick Alliance. As ICUR has continuously grown year on year, Victoria liaises with partner institutions, now representing 8 universities across 5 continents to showcase the best in undergraduate research. She supports students and colleagues at Warwick and from participating universities through the abstract writing and review process, various training, delivery and dissemination activities. As part of ICUR, Victoria co-manages a team of international Student Directors with the aim of integrating and accelerating the 'ICUR Experience' for all participants. She also drives ICUR's marketing strategy and digital presence across various channels to increase participation of staff and undergraduate students - in person and/or virtually - who have the opportunity to be involved in this unique and developmental student experience. Most recently, Victoria was successful in obtaining funding to co-design and develop Compass: the Undergraduate Research Mentorship Programme which seeks to bring students across the university together to develop individual research projects with the aim of widening access and participation to undergraduate research. During her time with IATL, Victoria has managed student-driven research projects and written research reports commissioned by the Pro-Vice Chancellor Teaching and Learning, mainly utilising qualitative methods, relating to: Widening Participation, the National Student Survey (NSS) and the 'Student Champion' Scheme. 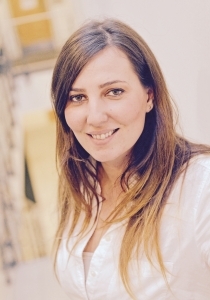 She was also a researcher on the Erasmus+Project: BLASTER and more recently, the wider University Enterprise Benchmarking Project which seeks to compare innovation and enterprise initiatives and best practices amongst leading universities in the UK and internationally. Victoria is working with her IATL colleague, Dr Elena Riva and Sarah Ashworth (Head of Mental Health & Wellbeing Support Services) on a study which seeks to identify and promote pedagogic practices which improve students’ wellbeing and mental health awareness which can be embedded in the teaching and learning environment. This project has received support from the Warwick Innovation Fund and phase 1 is currently be written into a research paper. Victoria is also providing academic project support and programme delivery to the MSc Humanitarian Engineering Programmes. Along with her experience working in education and training and as a researcher and analyst in boutique consultancies in North America and the UK; Victoria obtained a Bachelor of Human Resource Management with Honours from the School of Human Resource Management (SHRM), York University (Toronto, Canada) and a Master of Arts in International Employment Relations with Merit from Warwick Business School (WBS). As a Doctoral Researcher within the Organisation and HRM Group at WBS, Victoria's research focused on employee perceptions of corporate social responsibility in a leading multinational company. Victoria is a member of the following teaching and research groups: Organisation &HRM (OHRM), Industrial Relations Research Unit (IRRU), Connecting Research on Employment and Work (CREW) and Global Research Priorities (GRP). She is active in the Widening Participation Forum and the Equality, Diversity and Inclusion Network and was a representative from 2012-2017 for her relevant cohorts on the Student-Staff Liaison Committee (SSLC) during her studies.